Welcome back to our weekly segment that highlights a couple of interesting additions to our ever-expanding database. Feels familiar right? The IW3712-22 is the stainless steel version of the 2016 IW3712. It is made in 150 pieces for the Milan IWC boutique. LINK! The Oris Divers Sixty-Five 43 Chronograph is one of the latest installments in Bucherer’s Bucherer Blue series. Did you notice the indexes are different compared to the 2018 Carl Brashear version in bronze? LINK! Tissot has been doing retro editions since before it was even a thing. Really. Look at this 1998 Entrepreneur One – looks cool no? It’s even fitted with a plexi crystal. LINK! Another cool one – the 2009 Heritage Chrono. This limited edition of 3333 pieces has a stainless steel case with a diameter of 40mm and is powered by the self-winding 7753. LINK! A cool watch doesn’t necessarily need to cost big money. The Certina DS PH200M was released at BaselWorld 2018. It pairs cool vintage looks with an ETA movement with 80 hours of power reserve. For EUR 695! LINK! I’ve spent the majority of this week updating existing entries and filling in gaps – in other words, not all entries are new 2019 releases. Who doesn’t like a good Divers 65? This one has the 40mm case, but pairs it with the more traditional dial lay-out that was first seen on the larger versions. A slight dash of bronze, supple rubber strap – perfect for summer ’19! LINK! One of our API users had put in a request for a couple of watches, including a couple Certina’s. Among them this DS-1 Powermatic 80 Himalaya. I like it. Cool vintage-inspired looks, 80 hours of power reserve, and it’s sensibly priced too. LINK! The biggest project I took on this week is updating our Longines database. This will involve quite a bit of work as a lot of them have been using updated movements (L619 versus L888 for example) without the actual reference numbers having been updated. But perhaps that’s a story for next week. This week’s pick is the Conquest V.H.P. GMT in 41mm with carbon fiber dial and rubber strap. I love me a good quartz watch and I think the V.H.P. -especially the GMT- is very interesting from a tech perspective. LINK! Another Longines? YES! Somehow this was missing from our database. I’m not the biggest fan of the Master Collection aesthetics, but an annual calendar for EUR 1.960 list? Count me in. LINK! Ok, that’s a lie. This was added nor updated this week. But this list needed a bit of spice and I found it in the form of the Karoshi K-011. LINK! Annual Calendar Certina Divers Sixty-Five Karoshi Longines Oris V.H.P. Earlier this month Oris introduced a new member in its successful Divers Sixty Five collection, sporting a silver dial with sunburst finish. A couple of weeks ago I spend some time with Gijs van Hoorn of Oris the Netherlands and his private collection of vintage Oris watches. Among them was this little 1960’s divers watch with an unusual silver dial. And BOOM – like many other watches from Gijs collection, this one too served as the inspiration for a modern re-interpretation. 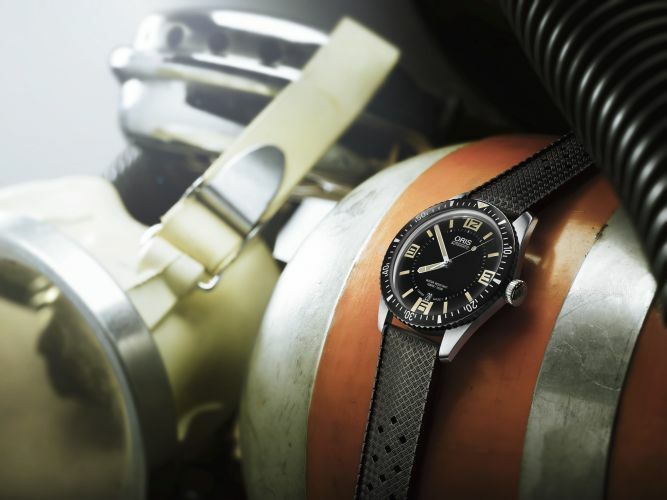 The latest member of Oris Divers Sixty-Five collection sports a silver dial. 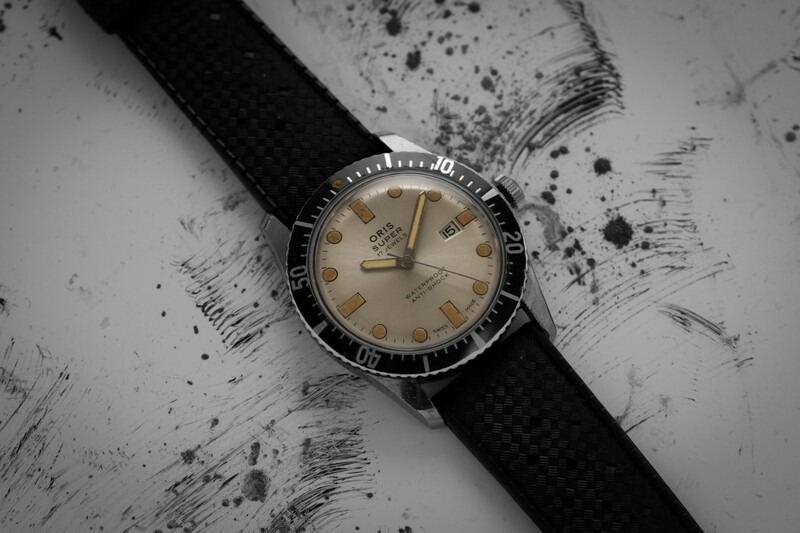 An unusual color for a dive watch (the Doxa Searambler comes to mind), the sunburst-finished dial sports over-sized indexes with a warm ‘vintage’ tone, like seen before on the blue and green variations. 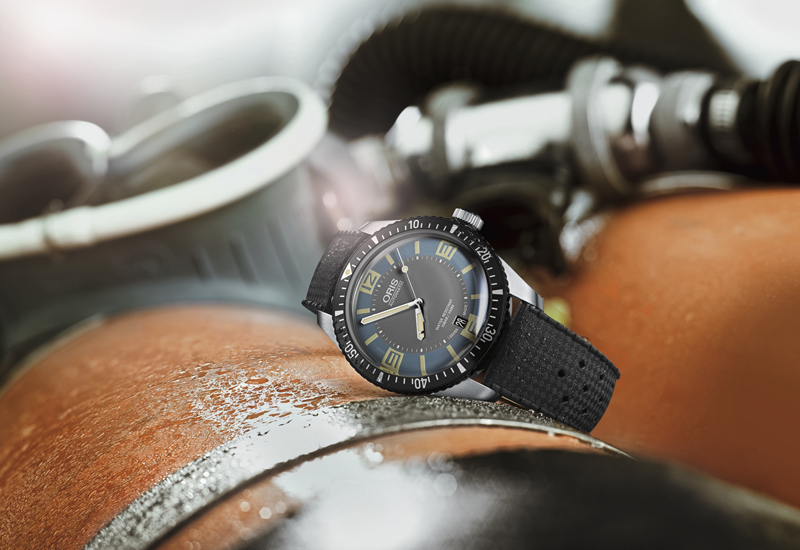 The new Divers Sixty Five is available with a choice of straps. Click to be transported to the entries in our watch database for more information including prices. Alwin and Dion have been working on some new and exciting features for WatchBase: there is now a share button on each watch and caliber page, there is a ‘report data error’ button and we now have a separate information page for those interested in our data feed. Arguably the most important new feature is the ‘report data error’ button. It allows you to send me an email directly when spotting an error in our watch and caliber databases. Please use it – it will help me keep our data as precise, up-to-date and exact as possible. Besides Alwin and Dion’s work, I’ve of course been keeping busy uploading more watches. We now have a great catalogue of H. Moser & Cie watches, including the Swiss Alp Watch and many more. Our Rolex database now has 642 watches in it, including many rare variations the Daytona. 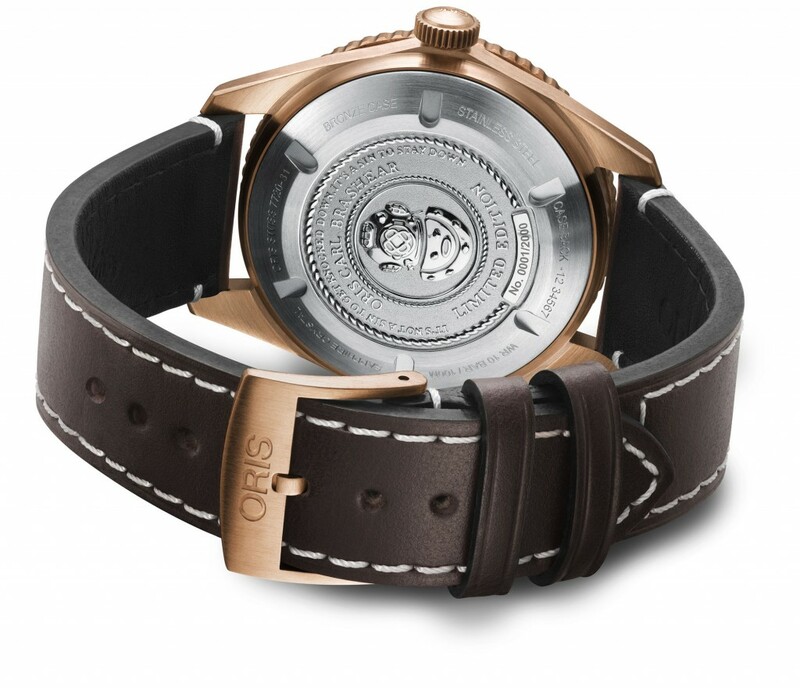 And to kick of the day, I just uploaded the stunning Oris Divers Sixty-Five Carl Brashear Limited Edition. Oris just introduced a new version of its hugely popular retro dive watch Sixty-Five: the Deauville Blue. Its dial colors are inspired by the 1960’s, specifically the Normandy town Deauville – light grey in the center with an outer ring of ‘Deauville Blue’. Details and pricing in our database! With day 1 of BaselWorld 2015 coming to an end, I think its time for a first recap. Below I’ll be posting some (perhaps random) thoughts on a few of the watches uploaded to the WatchBase database and I’ll try to do this more often – if I can find the time. Pictured above and consisting of the Black Black, the Pitch Black, the Sedna Black and the Vintage Black, I think it’s a bold and interesting move for Omega to release all four in one single take. Why? If released four consecutive years, Omega would seem to be taking the easy way with changing minor details on a winning model. People, customers, WE, would probably tire of it rather quickly. With his new play however, Omega changes the game to an exercise in details, offering us an instant look into the mind of the manufacturer and the infinite possibilities that a canvas like the original Dark Side of the Moon can offer. It’s as if bloggers Photoshop dreams were made reality. This one I love. It’s a true product of passion. 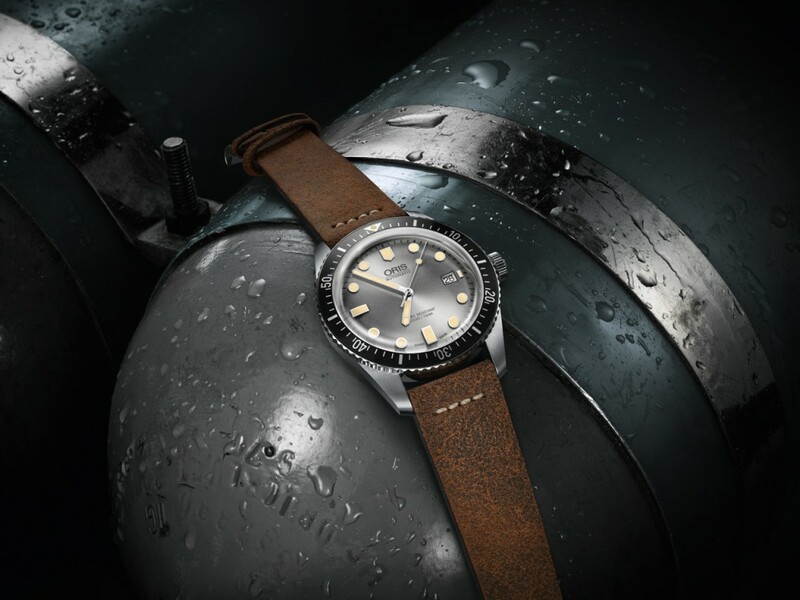 I first heard of this project back at BaselWorld 2014 when the Oris brand manager for the Netherlands -an avid collector himself- told me he was trying to convince his superiors to build a watch based on a vintage model in his collection. One year later, the outcome couldn’t have been better. It’s charming, it’s affordable, it’s cool. Plus it’s available on both a NATO strap (with folding buckle nonetheless!) as well as a Tropic, both of which are exceedingly awesome. With the 2014 return of the Colt with the signature Breitling bezel and the recent release of the Colt Chronograph automatic, one could easily see Breitling returning the SuperOcean back to its roots as well. However, the brand seems to be determined to give this line its own look, sticking to the bezel with rubber inlay as introduced back in 2010. However, for the dial, they now did look back at their heritage. And it looks good! While the B01 is a stunning movement, for the bigger part it’s this kind of reasonable priced watches that made Breitling for the last decade or two. I like ‘m. They’re now available in either 36, 42 or 44mm – and as is customary with Breitling, the options when it comes to case/dial/strap combinations are sheer endless. This one we admittedly scooped earlier just like the Oris Divers Sixty-Five, but who can resist commenting on THE Patek that is bound to stir some controversy in the coming weeks/months/years? I will stay to a macro level with my comments for the Calatrava Pilot Travel Time 5524G. 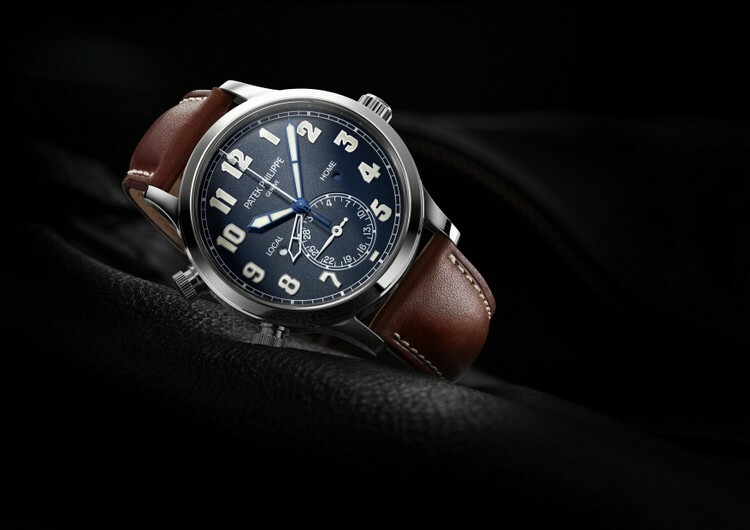 Look at it this way – when a brand puts out to many models based on previous stuff, they’re often branded to conservative, lacking imagination, drawing to heavily on their heritage – this is mostly the case with Patek and Rolex. However, when and if introducing something DIFFERENT, it’s as if the world is set on fire – THIS? They can not possibly be serious! I applaud Patek for branching out and trying something different – although I’m not quite sure why they’d put in the Calatrava name. Yes, it’s something else. No, it’s not Patek Philippe as you know it. But it’s CASUAL CHIC in capitals. Sprezzatura in the Agnelli type of way. Skip it. This is too good. I’m writing a separate post on this one. This is just stellar. Those of you that know me know that the Day-Date is one of my favorite watches EVER. The Day-Date II in my opinion was perhaps not the best of Rolex’ releases. The proportions just do not seem right. With the new Day-Date 40 however, they seem to have found a way to fit the DD with a larger case without ruining its classics looks. I think its a stunner. Should I end here, or should we talk about the new movement, caliber 3255, that features no less than 14 new and patented technological solutions? As of yet, I’ve uploaded the four standard configurations – one for each metal: platinum, white gold, yellow gold and rose gold. Best of Week 12: Breitling, Zenith, TUDOR, Rolex and NOMOS. 2017 Omega Speedmaster 60th Anniversary: what&#8217;s in store?